A visit to a Science museum is actually doing more than just hands-on learning. Check out these 7 benefits that are also 7 reasons to head off to a Science museum in Singapore! Science museums are often integrated into school-organized trips due to the educational benefit. Families also find visiting museums fun. Enjoying while absorbing academic information, however, only scratches the surface of what a visit to a Science museum can offer both to adults and children. Heading off to a Science museum is actually doing more than just teaching information. Considering the scientific and technological inventions turned into life by Singaporean innovators, which serve as the pride of the locales–not only regionally but also on the international grounds–it is inevitable not to notice that Singapore is definitely a home for both the development of the already existing scientific knowledge and individuals who actually aspire to explore more of what science itself is meant to unravel. To be honest, there are countless reasons as to how can this distinct sort of affection for Science be awaken, but as for those Singaporeans who have already proven that this field of study breathes in the very essence of their core, something can be clearly seen that they all have in common, and that is exposure – the medium for proficiency in all fields. Having that said, a visit to a Science Museum in Singapore is not only an opportunity but is actually a great privilege to get exposed to both scientific artifacts and what science can possibly offer in the future. Here, you can explore a possible inclination you have for science. We all know that Science museums are a place for exhibiting how your lessons on your Biology, Chemistry, and Physics Class may actually be put into an application - be it practical or scientific. These exhibits showcase both the process and the output seen in the works of the nation’s inventors, innovators, and scientists. In Singapore, more than learning the explanations in integrated mediums about the basic facts and principles behind such as how a pendulum unstoppably sways as long as its left alone and what keeps the essential resources around us into stability - you will also be able to witness how Singaporean creations have been able to initiate industrial and technological revolutions and evolution, how their works serve as a worthy contribution to the progress and the mere living of one’s community. By being able to witness these things, you are also doing one more thing- that, of course, is supporting those Singaporeans who have been the reason behind those. Going to a museum means a lot more than just you paying for the pass (if there’s any) and being able to wander inside on a probably ‘unusual’ place for you. Your actual existence there means so much more- entering the museum also means that you’re ‘giving life’ into it- into the museum, into the treasures and collections of Science that it all stores inside, and of course, to the actual purpose that all the science museum has at their very core- that of which is to preserve the ever-glowing essence of learning Science itself, together with all the milestones it has attained which have sustained innumerable necessities to human living as of now. Especially now in the age where learning the seemingly complicated parts of Science don’t sound as worthy as the science tuition itself. But you know what’s the most awesome form of preservation that’s happening while you’re inside a museum? Is that it actually preserves not only the role of Science in the community but utmost, the role of science in you and in your life. If there’s any place that could better build up individuals’, especially, the youth’s aspirations aligned in the field of Science, than the school or through your science tutor, that would probably be nothing else than a Science museum itself. In Singapore, wherein the development of Science and Technology serves as one of the major concerns of the Government, the greatest challenge museums such as this face is how they would be able to cope with the ever improving means of partaking knowledge to the community. Well, as of now- they’re doing it well. Continually planting the seeds of world-changing aspirations in forms of variety in all of its visitors. In Science museums, you get to enjoy without being guilty of the time you "wasted". If you’re longing for a deep conversation about all the science-related curiosity that you have deep inside, apparently you have only one most convenient place for your option- and that is a Science Museum. If you want to surprise your Science Tutor on his/her next visit, going into and actually appreciating what a Science museum has in store for you is a great way to start your journey of future A’s on your Science classes and tutoring sessions. “That’s clearly a hyperbole”’, you might think… But it’s not. Because do you know what all these great scientists in your country have in common? Enthusiasm for Science. And that’s what a Science museum aims to develop in you while you’re inside. 7. Relaxed mind and the ever sought emotion of "feeling good"
Escaping from the every day countless demands that our responsibilities try to milk from us, we often forget to give ourselves the break that we deserve. With a Science museum chosen to accompany you during your recreation, you get the opportunity to appreciate how far we’ve gone in terms of progress, and how far are we still able to move forward, utmost how fortunate you are for being able to have this moment of your life - staying still, purely appreciating what you might have missed all along. A visit to a Science museum has numerous benefits that go beyond fun and learning. It contributes to your well-being, to the welfare of your community, and ultimately, to the progress of the whole country. So the next time you spend your recreation, make room for scientific exploration and discovery and spend an hour or more in a Science museum. If you are a parent looking for fun activities for your kids, find out more here. 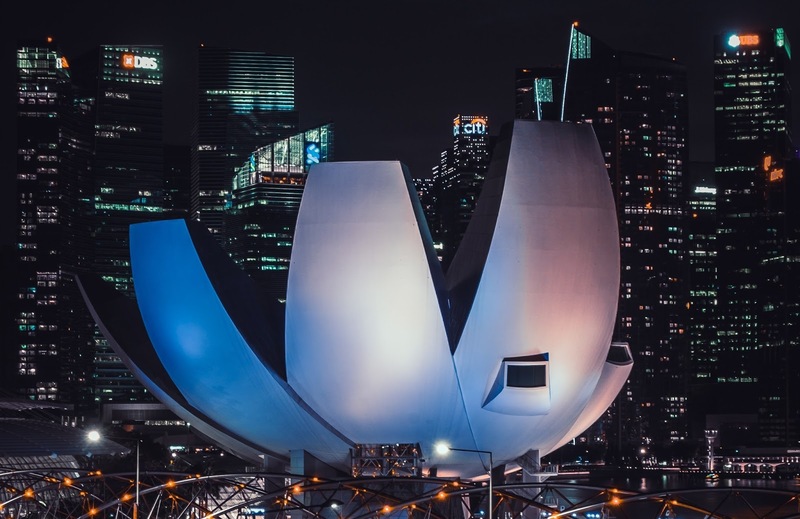 Have you ever visited ArtScience Museum in Singapore? What do you think of Science Museums? Let me know your thoughts below. Thank you so much for sharing this article!